It’s beginning to look a lot like Christmas in Hawaii, thanks to a pair of spectacular sand sculptures on Oahu! Sandsational Sand Sculpting, a company based in Melbourne, Florida, has just put the finishing touches on the second of two holiday sculptures at the Sheraton Waikiki in Honolulu, and you can be one of the first to see these amazing spectacles that combine art and skill in a most playful way. 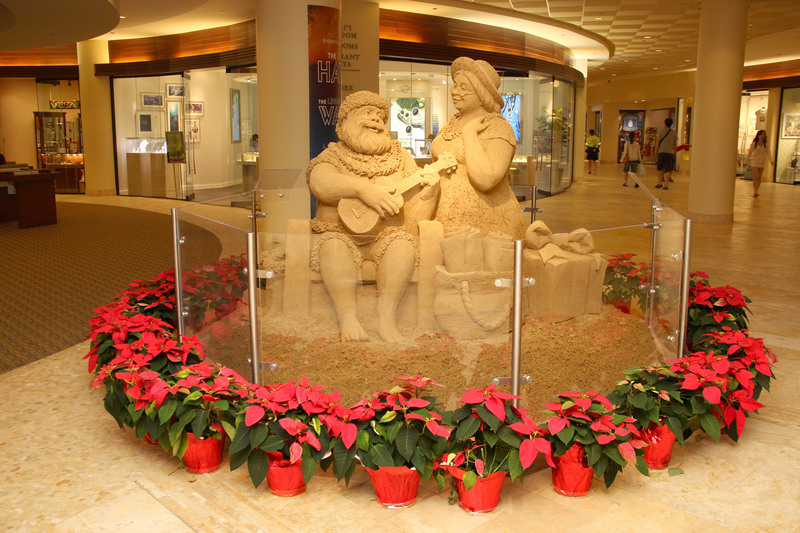 The first one, completed November 9 using eight tons of sand, is titled “Santa’s Serenade,” and features Santa Claus playing the ukulele and singing to Mrs. Claus in the hotel’s main lobby. The second sculpture in the Sheraton Waikiki Porte Cochere titled “Santa’s Selfie,” was completed on November 18 and features 24 tons of sand. In all, the sculptures took the artists 250 hours of labor, 15 days, and 32 tons of sand to build. “We feel like part of the Sheraton Waikiki ohana, not only with the associates and guests, but with the locals who come through…what a wonderful environment to make art,” says Jill Harris, one of two sculptors along with Thomas Koet. “There isn’t a better way to combine the magic of Christmas with art on Waikiki Beach,” says Sheraton Waikiki General Manager Kelly Sanders, who is credited with bringing Sandsational to the Sheraton Waikiki, which remains the only hotel in Hawaii to feature sand sculptures of any kind. “When we look at how people react to these works of art, it’s a look of pure joy and amazement—and that’s what the holidays are all about,” Sanders continues. The sand sculptures are huge draws for the thousands of guests who come to Sheraton Waikiki for holiday events and gatherings. The sculptures are expected to remain at the hotel through early 2016 when a new sculpture will be made in the lobby. The Sheraton Waikiki is one of the most celebrated hotels on Waikiki Beach and is the home of the spectacular sand sculptures. If you want to see the sculptures up-close, it’s not too late to book your Hawaii holiday vacation. 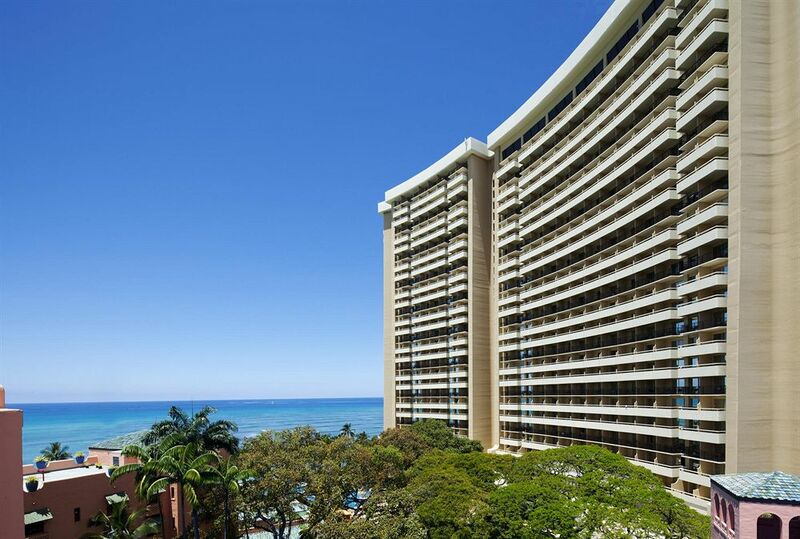 Just contact Hawaii Aloha Travel and ask your travel professional about availability at the Sheraton [haw]Waikiki[/haw] or another top-notch Waikiki hotel. Or, consider stretching-out your vacation by island-hopping during the holidays. Any one of the skilled travel professionals at Hawaii Aloha Travel can help you create a custom Hawaii vacation you’ll never forget. So, what are you waiting for? Book your holiday vacation now, and experience these amazing sand sculptures before it’s too late!